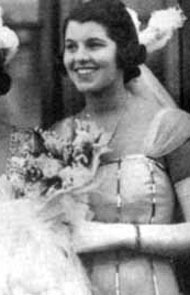 Born slightly retarded, Rosemary Kennedy learned to read and write, and through her early 20s friends described her as bubbly and personable. Her famous family, however, feared that Rosemary might get pregnant, catch a venereal disease, or otherwise embarrass the Kennedys. To prevent this, she became one of the first Americans to undergo a prefrontal lobotomy, having the frontal lobes of her brain surgically blasted in 1942, resulting in Ms. Kennedy's paralysis, incoherence, and incontinence. She was institutionalized for the rest of her life, rarely mentioned by the Kennedys or by those who consider the family American royalty. St. Coletta School for Exceptional Children, Jefferson, WI.